Archaeologists believe they have solved a mystery bedeviling them for over a century: how exactly a pottery culture called "Bell Beaker" spread from Spain to the rest of Europe, North Africa and Britain too, starting around 4700 years ago. For possibly as much as 1,000 years, "Bell Beaker" vessels spread around Europe, supplanting many if not all of the local styles. The style seems to have been born in Atlantic Iberia around 2750 B.C.E., based on carbon-dating of materials such as bodies found with the hallmark vessels. 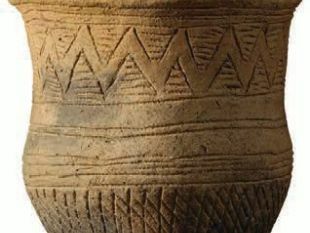 By the time the distinctive vessels finally vanished from the human record somewhere between 2200 and 1800 B.C.E., it was found throughout central and western Europe, reaching ancient Britain and northwest Africa too. The question has always been how exactly the Beaker ceramic style spread. Was the knowledge spread by migrating peoples, or cultural diffusion - i.e., did it somehow slowly spread by itself? Now a paper published in Nature by a vast number of European and Harvard scientists, demonstrates that both were the case – albeit not simultaneously. At first the idea spread by itself and later, with migrating peoples. In other words, for all the growling, both arguments were right, just at different times. This conclusion was reached by analyzing the genomes of 400 Europeans from 4,700 years ago until and including the Bronze Age, when the style petered out. No less than 144 archaeologists and geneticists from Europe and the U.S. took part in the research. Some 4,500 years ago, people from the steppes of Eastern Europe moved en masse, heavily disrupting local populations. Some 70 percent of the population of north-central Europe was replaced by steppe peoples. From there, the mass migration continued onwards to the west, explains Wolfgang Haak, a geneticist from the Max Planck Institute for the Science of Human History in Germany. 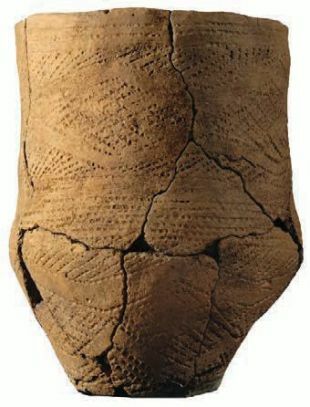 The dataset featured in this paper included 226 Beaker-associated bodies from Iberia, four from southern France, three each from northern Italy and Sicily, nine from the Netherlands and 37 from Britain – as well as 174 others from more ancient populations, of whom 118 were in Britain, from before and after the Beaker complex era. No close genetic affinity was found between the early adopters – the people buried with "Bell Beaker" pottery in Iberia about 4,700 years ago - and the peoples in central Europe. So: assuming the Beaker technique did arise in Iberia, which is far from being a consensus opinion in the archaeology crowd, it evidently spread by cultural diffusion, from one village to the next. 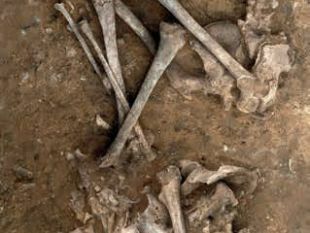 “DNA from skeletons associated with Beaker burials in Iberia was not close to that in central European skeletons,” says Iñigo Olalde, a geneticist at Harvard Medical School in Boston and the first author, in the paper. Ergo, migration of peoples with pottery technique clutched in hand was not key to the technique's first spread. But then, in the following centuries – and markedly in the spread to Britain – the migration of people bringing the technique seems to have been key. About the time when the uniquely shaped vessels reached the islands now known as British, about 90 percent of Britain's gene pool would be replaced, the scientists report. The locals were supplanted by a mass migration from the Eurasian steppes, which had already swept over Central and Northern Europe during the previous centuries. The data regarding Britain is startling. Geneticist Ian Barnes at London’s Natural History Museum, also a co-senior author of the study, explains that Beaker-era people were genetically very different from their predecessors. "At least 90 percent of the ancestry of Britons was replaced by a group from the continent," Barnes states. In fact, leaving aside modern immigrants, today's British look like their ancestors from the steppes with regard to skin and eye pigmentation, say the scientists. The Beaker migrants replaced the very Britons who had just finished building Stonehenge, points out Carles Lalueza-Fox, yet another of the authors, from the Institute of Evolutionary Biology in Barcelona Spain. "The fact that the Beaker expansion achieved a near-complete turnover of the population that built these great megalithic monuments dramatizes how disruptive these events must have been,” she commented. Indeed. Let us note that the "Bell Beakers" not only made pottery vessels shaped vaguely like bells but also tended to put hallmark items with the dead in their burials: stone bracelets, copper daggers, arrowheads and buttons. “The pot versus people debate has been one of the most important and long-running questions in archaeology," stated co-senior author Ian Armit, an archaeologist from the University of Bradford in the UK. And now it has been put to bed.